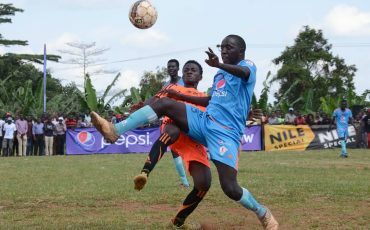 The 2019 Pepsi University Football League group stage draws were held at Kati Kati Restaurant in Lugogo with the games set to kick off on Thursday February 14. There are 16 teams that have been drawn into four groups of four and teams will have to play each other home and away with the top two in each group progressing to the quarter-finals. Nkumba University who eliminated Kabale University in the preliminary round are in group A alongside Busitema University, Bishop Stuart University and YMCA Comprehensive. MUBS were drawn in group D, alongside Kampala University, newcomers International University of East Africa and Uganda Christian University. The defending champions Kyambogo University are in Group C with Kumi University, Busitema University and KIU/Makerere. The winner between Makerere University and Kampala International University will be determined by the competitions committee today after fans invaded the pitch when the game had gone to penalties. The two sides were tied on a 1- 1 aggregate score. The University league is now in its 8th edition and Kyambogo University are the reigning champions.